This story no longer lives here but there are just too many links to it for one man to strip out and those Error 404 Not Found notices aren’t very polite, so you are seeing this instead. 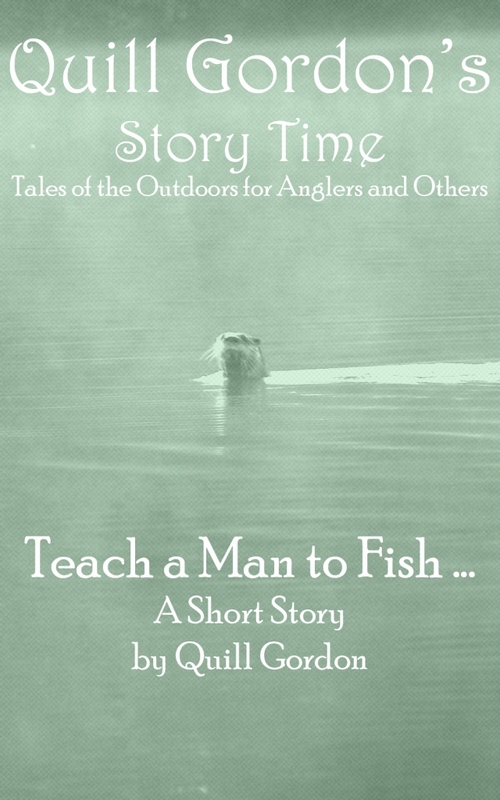 The short story “Teach a Man to Fish … ” has been converted to e-reader format and is now available for both Kindle and Nook as part of Quill Gordon’s Story Time, Tales of the Outdoors for Anglers and Others! now thats a lure with allure. sure beats a dupont 1/2 stick. DuPont 1/2 stick’s a mite delicate ain’t it? You made me laugh so hard I woke everyone up! Remind me to tell you how I caught a duck. I have a whole post about bear poop, although I don’t think that’s how I tagged it for the search engines. Send ’em my way! I am getting a might curious about how Eugene and Purly’s shenanigans aren’t detected by the local game warden. I think that would be a good topic for future posts.